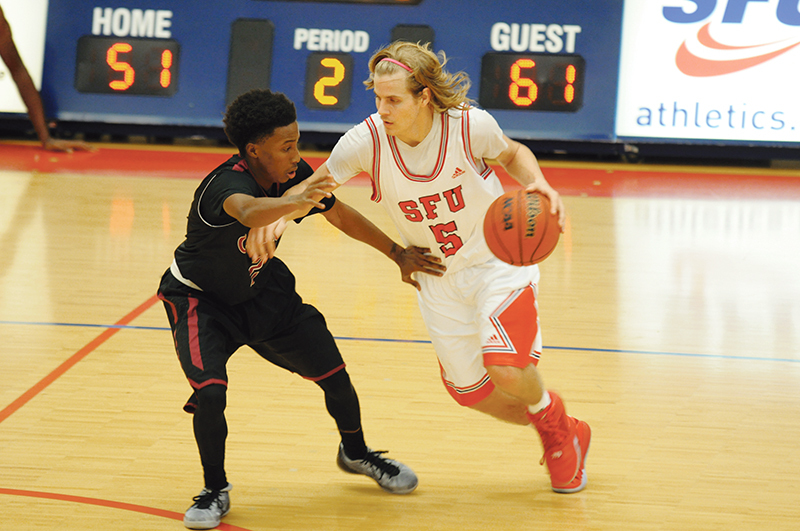 Former Rim of the World High School and Victor Valley College basketball standout Max Barkeley plans to transfer from NCAA Division II Simon Fraser University for his senior season. Barkeley, a shooting guard, played two years at Victor Valley and is currently in his junior season at Simon Fraser but this season he has been slowed by two concussions. He is averaging a team-high 14.9 points, 3.3 rebounds and 2.3 assists but has played in just 14 of 26 games this season. Barkeley has informed the school that he plans to transfer but isn’t sure yet whether he’ll be eligible for the 2016-17 season. The transfer is complicated by the fact that many of his credits from the Vancouver, Can., based school won’t transfer. He has talked to several schools in the CCAA, most notably Cal State San Bernardino which would seem like the perfect option given his desire to return closer to home. Cal State Los Angeles and Sonoma State are also interested. This entry was posted in Max Barkeley by Michelle Gardner. Bookmark the permalink. Hi there, could you please credit this photo? It appears it was taken from our website without permission and we would appreciate it being credited “courtesy of The Peak”. Thanks! are Max Barkeley still there?